2018 Digs start April 20 and will take place every Monday, Wednesday and Friday until Memorial Day Weekend. Meet at the Leland Village Green at 9:30am sharp to carpool to the dig site. Please bring a shovel, garden gloves and a water bottle.Wildflower Rescue Committee is an arm of the Leelanau Conservancy. 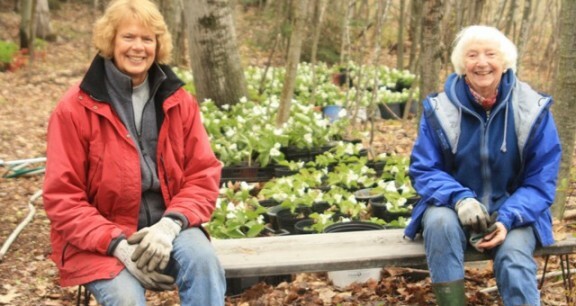 The Group was started in the fall of 1999 with the purpose of saving native plants from destruction. We have worked since that time not only to save the plants, but to educate the public about the value of the plants to the forest and as part of ecosystems. 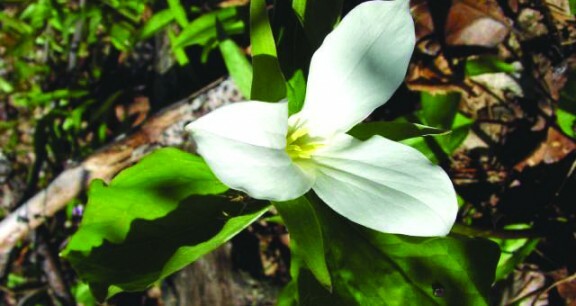 Wildflower Rescue saves primarily woodland, or shade plants that are found in hardwood forests. 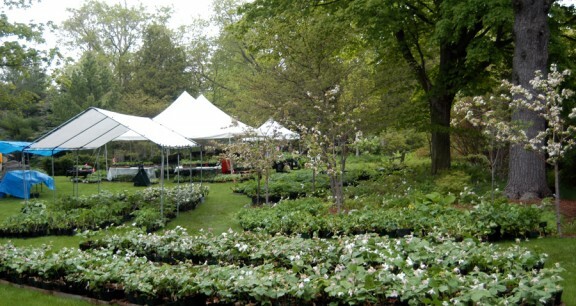 Any plants protected by Michigan Law are legally dug with permission of the property owner. We do not dig rare or endangered plants and all plants are inspected by the State Ag Dept. for disease. We go into a site before the roads are constructed, the driveway built, or building site dug, and we take the plants. The property owner’s wishes are respected and plants that will not be destroyed are left on site, intact. We dig in the spring and fall, which are the best times for plant survival. The group usually digs on Monday, Wednesday, and Friday in the morning, for about an hour; but we can work around equipment and work demands as necessary. We always go as a group and only after receiving a signed permission agreement with the property owner, which releases the owner from any liability. We have worked with private individuals, The Road Commission, local excavators and builders, developer Jack Armstrong, The Leelanau Club at Bahle Farms, and Cedar Valley Ridge. 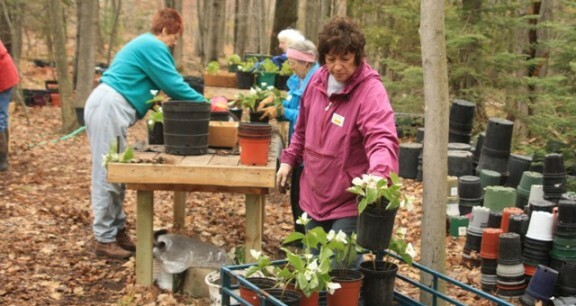 Many rescued plants have been donated to public gardens such as The Old Settlers Park in Glen Arbor, The Leland Children’s Center, The Old Art Building in Leland, Munson Hospice House in Traverse City, and The Leland Village Green. 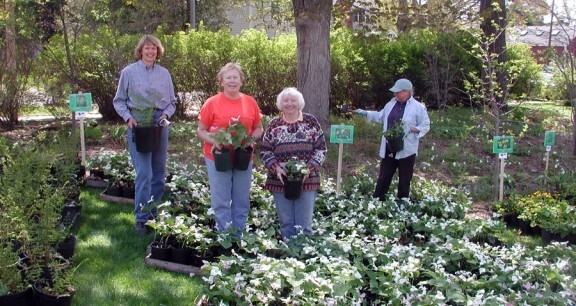 The rest of the plants are potted and sold to raise money for the maintenance of the Leland Village Green. If you would like to get involved with Wild Flower Rescue, please contact our office:231-256-9665 or email [email protected].